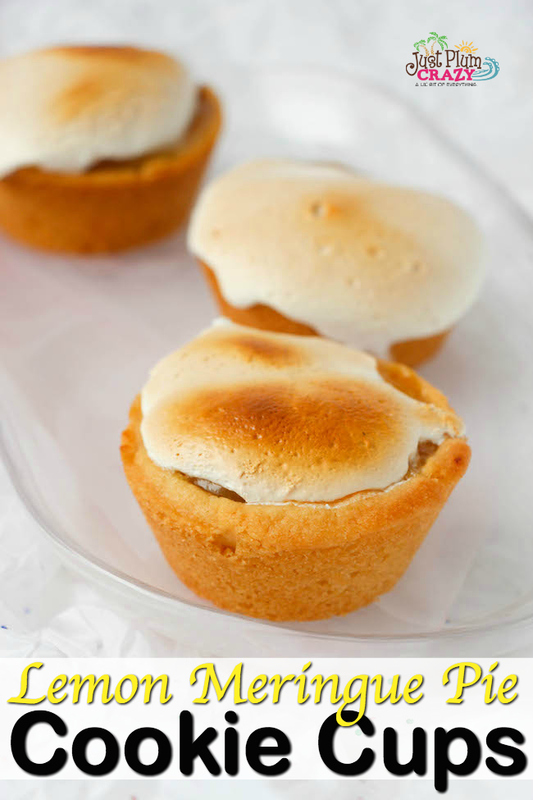 Cheater Lemon Meringue Pie Cookie Cups Recipe | Be Plum Crazy! 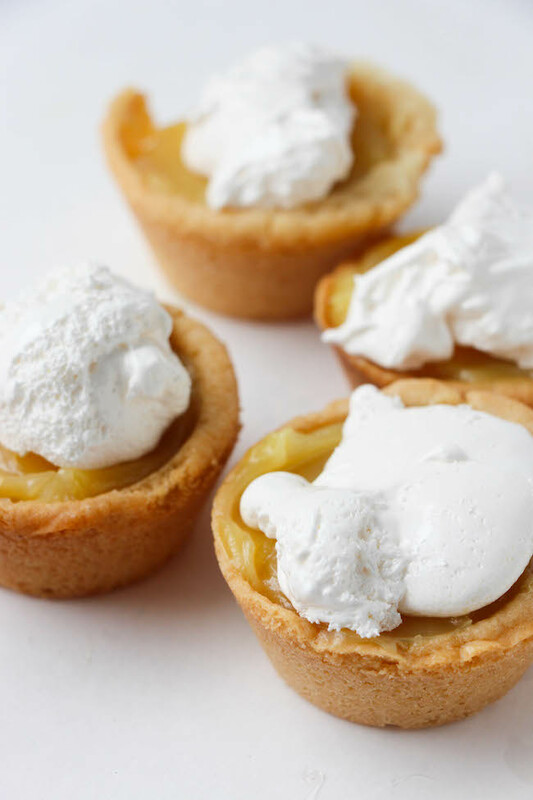 The Cheater Lemon Meringue Pie Cookie Cups Recipe is a simple way to get your Lemon Meringue Pie fix. 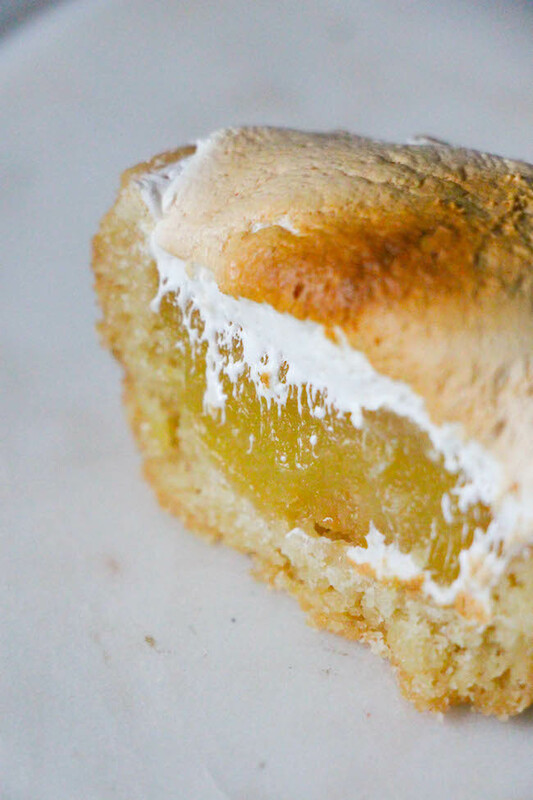 You still have the tangy lemon filling with sweet meringue like topping. 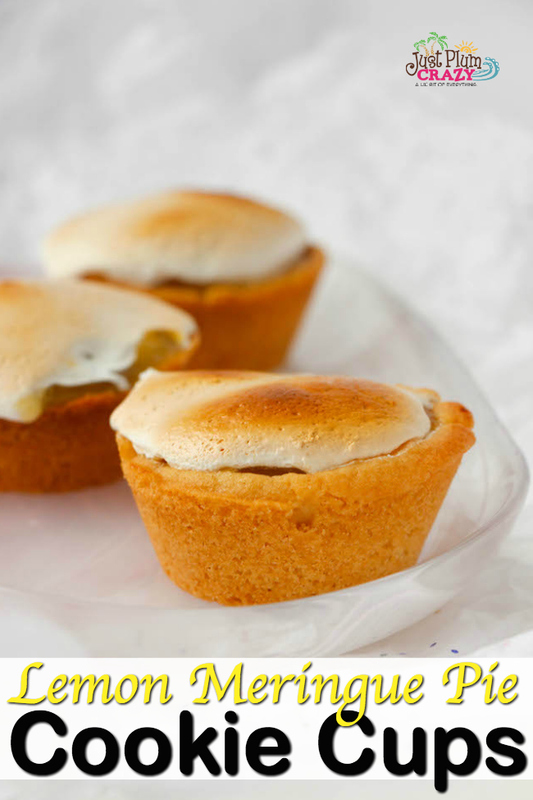 It’s Lemon Meringue Pie Day and what better and easier way to celebrate than with the cheater Lemon Meringue Pie Cookie Cups recipe. 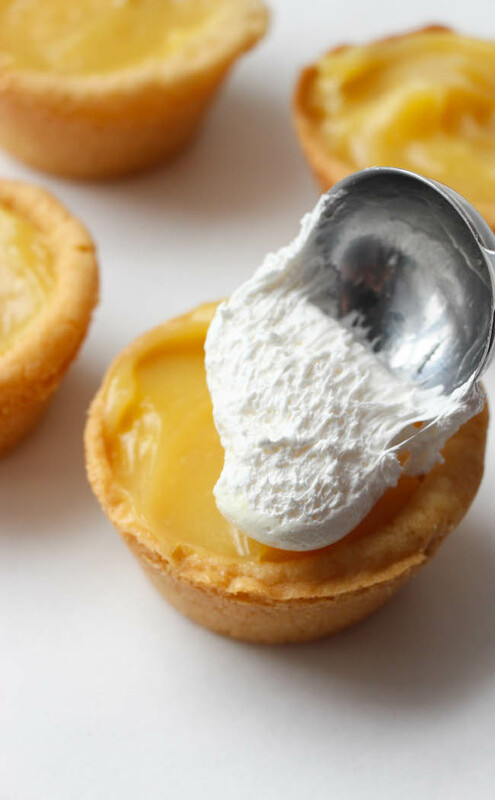 NOTE: You can replace the lemon filling with store-bought lemon curd. 2. In a medium saucepan, whisk together 1 cup sugar, flour, cornstarch, and salt. Stir in water and lemon juice. 4. Place egg yolks in a small bowl and gradually whisk in 1/2 cup of hot sugar mixture. Whisk egg yolk mixture back into remaining sugar mixture. 5. Bring to a boil and continue to cook while stirring constantly until thick. Remove from heat. 6. Grease a muffin or tart tin and press 1-2 Tablespoons of cookie dough into each indentation and press to shape into a cup shape (along the bottom and sides of the indentation). 7. Bake the cookie cups for 8-12 minutes (will vary depending on the size of your tin). 8. Set oven to broil. 9. Fill each cookie cup with 1-2 Tablespoons of the lemon filling and then top with a Tablespoon of marshmallow fluff. 10. Place all of the cookie cups under the broiler for 2 minutes, or until the marshmallow topping appears browned. 1. Cream the butter and sugar together with a mixer until light and fluffy, about 2 minutes. 2. Add in the eggs and vanilla. 3. In a separate bowl, stir together the flour and baking powder and then slowly add it to the sugar-butter mixture. 4. Once all of the flour is incorporated into the dough, form into a ball and cover with plastic wrap. 5. Refrigerate for 30 minutes before shaping into cookie cups. 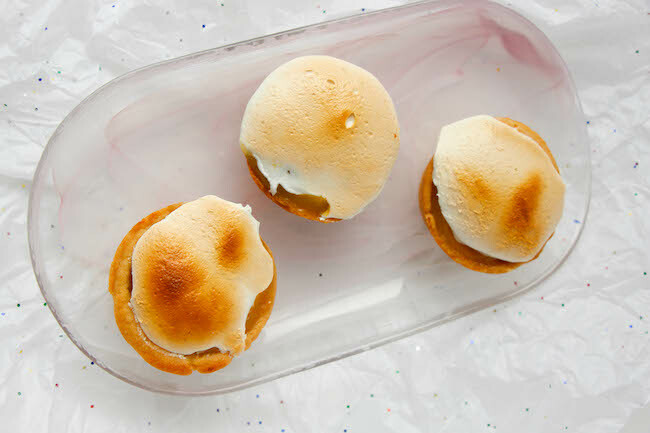 The Cheater Lemon Meringue Cookie Cups Recipe is a simple way to get your Lemon Meringue Pie fix with the tangy lemon filling & sweet meringue like topping. 1 cup marshmallow fluff*NOTE: you can replace the lemon filling with store-bought lemon curd. 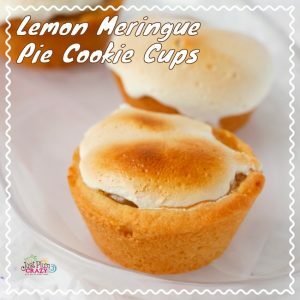 Fill each cookie cup with 1-2 Tablespoons of the lemon filling and then top with a Tablespoon of marshmallow fluff. Place all of the cookie cups under the broiler for 2 minutes, or until the marshmallow topping appears browned. 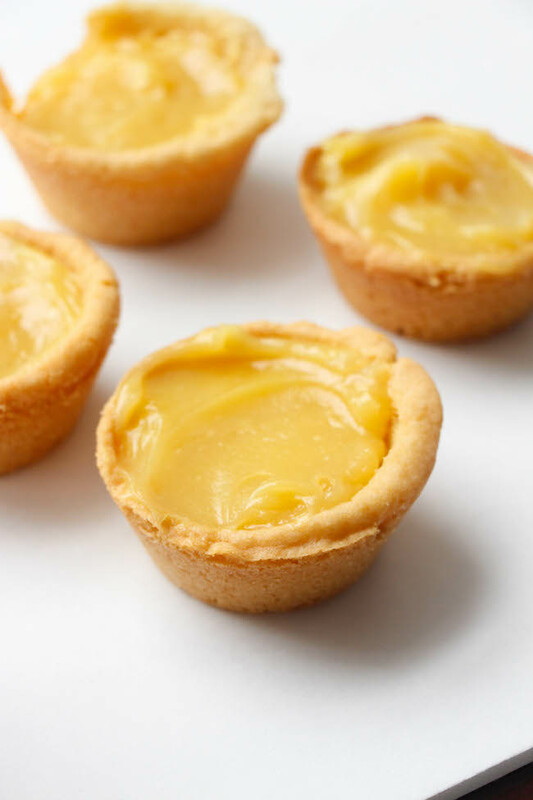 You can replace the lemon filling with store-bought lemon curd. Pin it for later and follow us on Pinterest. Check out our lemon blueberry cream puffs recipe.